When I saw Sew House Seven release the Burnside Bibs pattern I knew I needed it RIGHT NOW. I did buy it and download it and print it out but I only got round to actually using the pattern this weekend. What I loved about this pattern was that the wider leg, nipped in waist shape. As I experiment more with my wardrobe, I'm finding wearing new colours and new shapes so much fun. I normally stick to a rolled up, peg-leg shape that is looser through the middle. 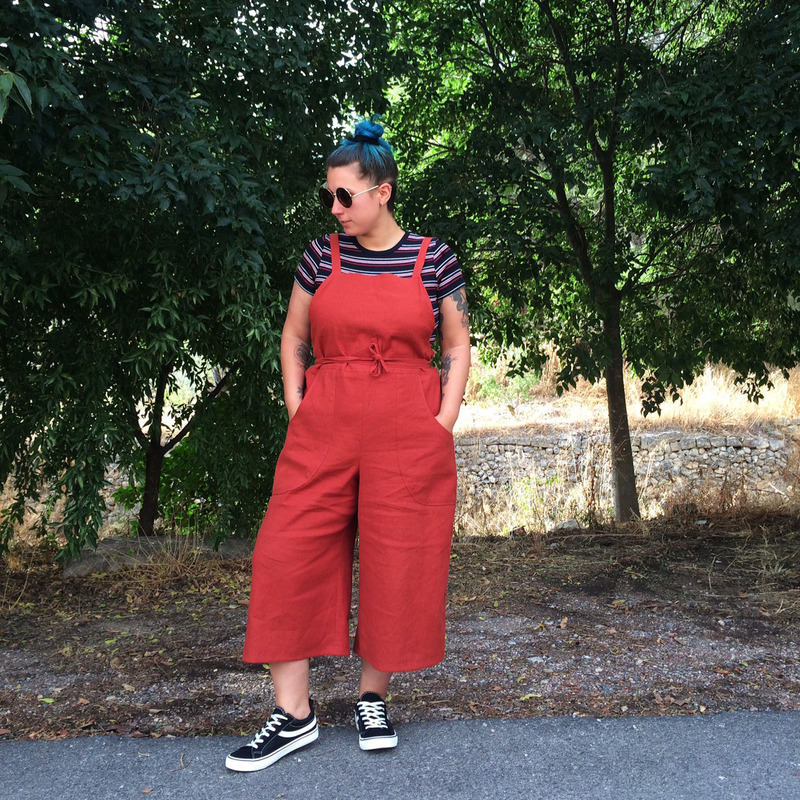 But wearing the Ninni Culottes recently has helped me to embrace a wider leg and learn to love my curves a bit more. The curves ain't going nowhere, they're here to stay so I might as well learn to love them, right? I hummed and hawed about what fabric to go for. Currently my fabric stash is extensive and so I had a lot of choice. I was going to go for a peachy coloured twill but worried last minute that the fabric might be a bit too heavy. I then thought about black linen but I wanted to be a bit daring and black seemed too safe. I bought the paprika linen a little while ago, not knowing what I would use it for, but just because I loved the colour. It's from Fabworks (you can see it here) After deliberating with my Mum (as all good sewists should), we decided to go for the paprika. Its a little weighty, but the added elastane would help it to move with my body, and the colour is just too delicious to say no to. I have some yummy autumnal jerseys (mustard, forest green, petrol *heart eyes*) in my stash to make tee's from that would go so well with the paprika, that it was a no-brainer. I sewed a straight size 16 as this is where my hip measurement fell into. My waist and bust both fit into the size 14, but as I like the bib part on dungarees bigger rather than smaller, I didn't bother to opt for the smaller top size and grade out. Plus as I was opting for version #2 with the drawstring back, a little extra room in the waist wouldn't be an issue. I wanted the cropped length but as I have ridiculously short legs (27" inseam) , I cut the cropped length off at the smallest size. I still ended up having to cut another 4" or so off once they were made up as laughably the cropped length were full length on my hobbit legs. This was the only thing I had to amend. I took my time with this sew and I enjoyed it immensely. I double stitched everywhere suggested (topstitching on the pockets etc) but as I only had a single needle I had to slow down and do it all twice. 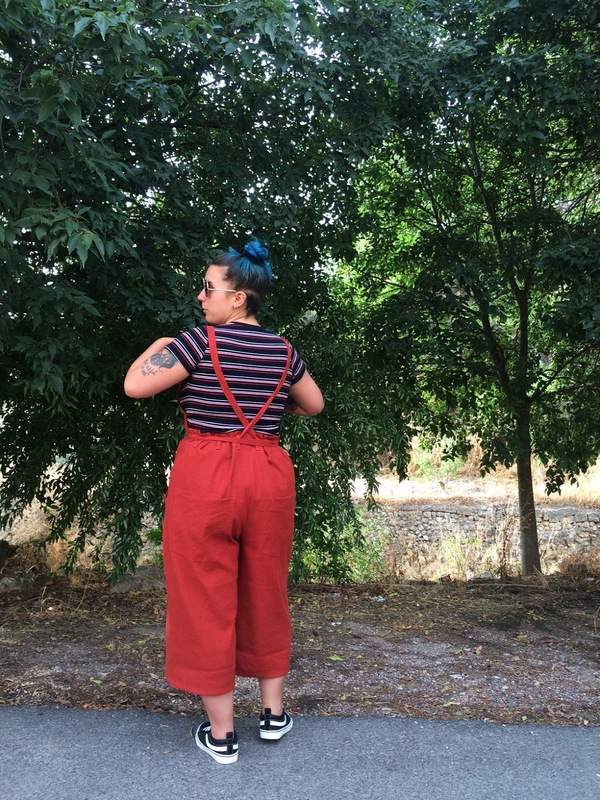 I sewed the dungarees up over 3 evenings (around 1.5 hours the first two evenings and another 30 minutes or so to hem on the final evening), and I'm so happy with the final results. None of the steps were too challenging, and the instructions are very clear and easy to follow. I'm already thinking about making my next pair! 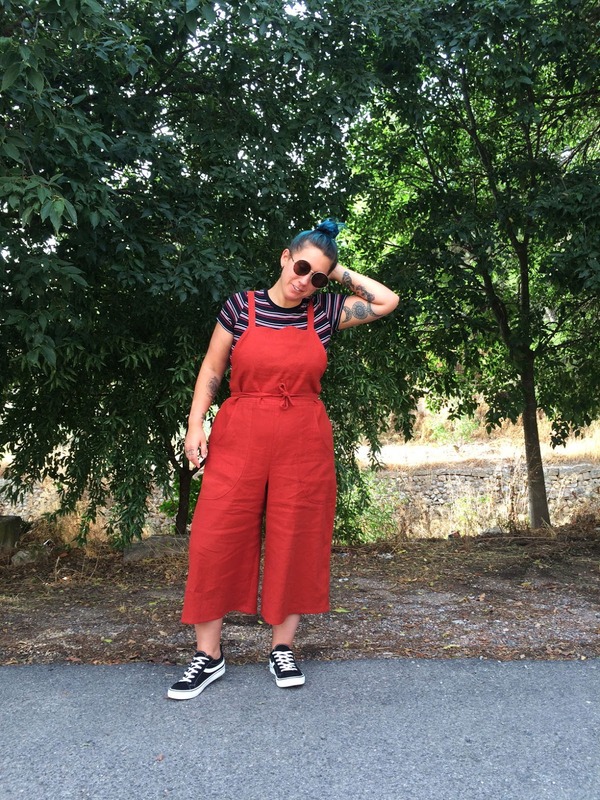 I can't express how in love I am with these dungarees. The colour, the shape, the fit...everything about them is perfect. They feel so 'me'! This feels like my first real experiment with my wardrobe. Stepping out of my comfort zone and trying some new things has really helped to discover something new that works for me. I discovered that I actually really like the larger front hip pockets which is something I usually avoid. I love the wider leg. I love the more saturated block colour and I love the slightly 70's worker vibe of these dungers. It's also the first sew that has given me a great deal of pleasure and sense of accomplishment. Nothing went wrong on this sew (a rarity for me!). I'm over the moon with all of the detailing and topstitching and feel confident in my sewing skills. 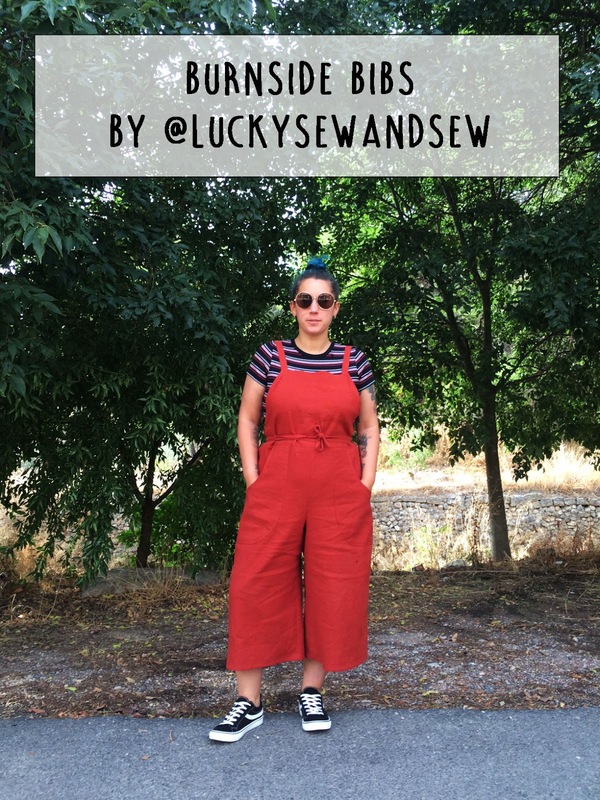 Sewing and wardrobe level up all around and a win for slow fashion!